Led by Steve Evans a group are re building a Montagu Whaler in Bristol. They are focusing on having her ready to sail and row in the Gulf du Morbihan, Brittany this coming May. 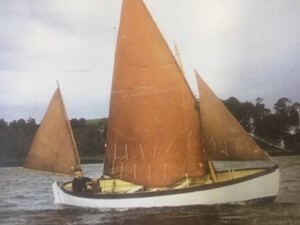 The boat was once owned by Commander Bruen who had saved her when down in Devonport in the late 70’s and she was believed to have been built in Malta in 1936. Having passed through others hands she was in need of considerable work. To celebrate her new lease of life and the history of the Montague Whaler, the re-build group are putting on a short musical presentation at The Pickle Cafe Underfall Yard Bristol, in early May 2019. If you would like to write to Steve Evans - steve_evans21@hotmail.com - with your anecdotes concerning the Montagu Whaler it will be most appreciated and possibly be included in our presentation.